With the rise in popularity of vaguely prog-rock outfits like The Mars Volta and Coheed and Cambria (not to imply this album sounds too much like either,) The Dead Science’s third full-length could see a reception that isn’t wholly unfavorable. Villainaire doesn’t really splay out its influences for listeners, but it does provide clues throughout. While some strains of progressive rock seem to be able to claim influence, the attribution can just as much rest with free jazz, experimental rock and a slew of other styles and genres. The Dead Science have managed to craft a generally harried feel to Villainaire: Every note feels almost desperate to reach listeners — and not in such a way that an audience will reject the album for being too pushy or eager to please, but in a way that communicates the almost-imperative nature of the music. While The Dead Science are not God’s gift to music, they occupy a vein of it that is often pegged for pretension: There’s little pretension to be found on Villainaire, but there is plenty of room to recognize skillful songwriting. This is a band that has a distinctive grasp of the craft and value of the album as a piece of art as opposed to a collection of songs, and it’s made clear throughout: There is a sense of continuity inspiring each individual piece, lending a definite flow to the music. 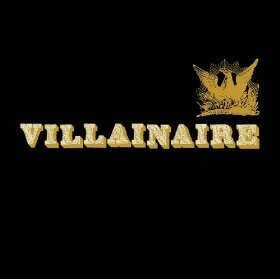 Luckily, there is enough variation that the album stays interesting; Villainaire is a bold, adventurous work that’s rife with enough emotion and energy to make at least some musical impact.